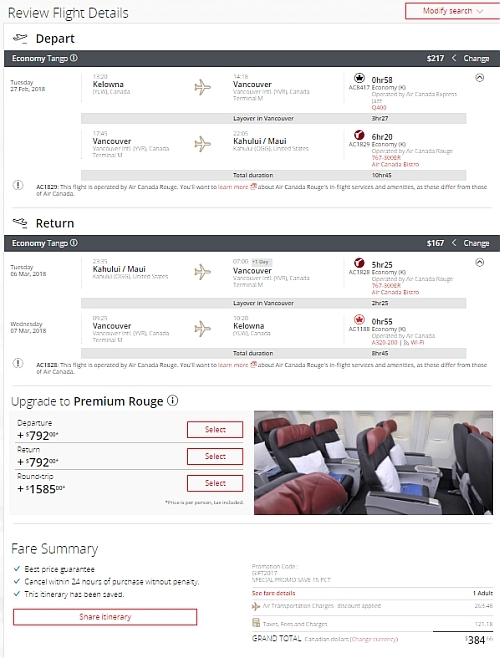 Air Canada Rouge has dropped the price of some of their winter flights from Kelowna to Maui, Hawaii down to $384 CAD roundtrip including taxes. 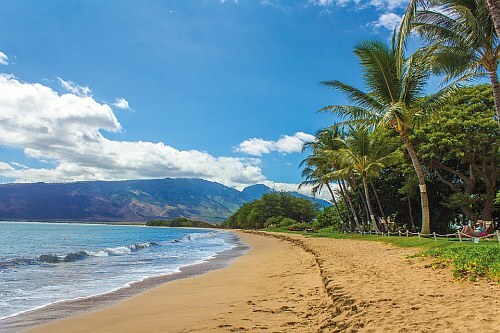 There are also some flights in May and June from Kelowna to Honolulu, Hawaii for $386 CAD roundtrip including taxes. Look for the dates that are $432 roundtrip. 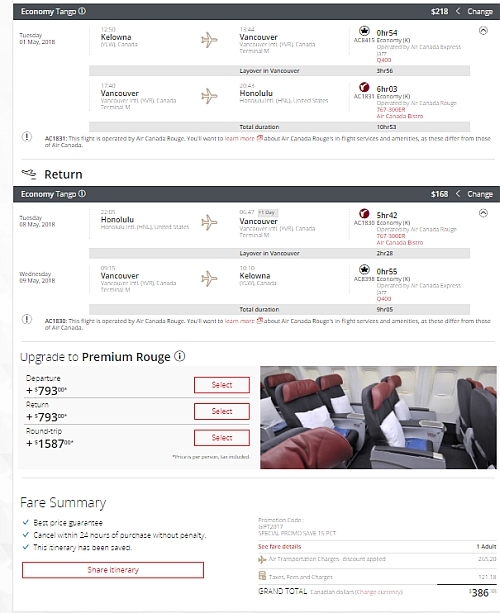 kelowna, YLW, flight deals, united states, maui, hawaii, ogg, north america, air canada rouge, honolulu, hnl, kahului or oahu.